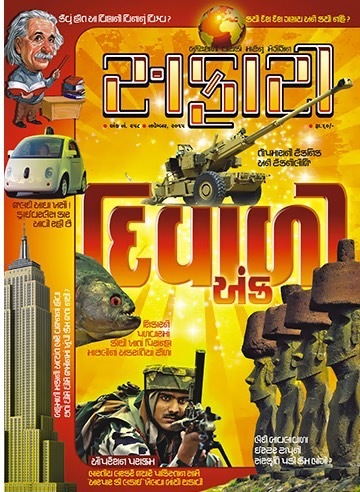 The November 2015 issue of Safari (a knowledge magazine from India) – Gujarati edition is published quite on time and here are our Views and Reviews for the same. Being a Diwali edition this issue is expected to be richer in content and it is indeed a 100 page magazine. Of course price is also raised for the same, but based on the content ₹60.00 is still very small figure when considering its content. The cover page is very attractive and it uses almost bright colors. It is appealing, no doubt. Nagendra Vijay is a fantastic author. His writing style is mesmerizing. If you have read any of his books or article you will definitely agree with the above mentioned statements. His articles are full of information and the research work done for the same is really remarkable. In this issue the themed article is about “Operator Parakram” – an Operation planned by Indian armed forces, which unfortunately didn’t complete as planned; is written by him. And it is a very detailed 22 page article! Studded with historical and informative photograph, this article explores how the political situations and will power affects the battles. And yes, battles are not always fought on the war-ground. Written in very reader friendly manner, this article explains the details in simple yet effective language. In editorial, editor Harshal Pushkrana, talks about the vision behind the article. He justifies how and why the article was panned. He also provides the legitimate sources of reference on which, the article is based. The editorial is quite effective and it proves its importance. We have often said that editorial is very important part of any media, as it connects the reader and the editorial team. It gives editor a chance to explain about the content of the media and his/her vision behind the same. When a majority of readers love to read about time pass stuff or articles focused on glamor world, movie stars, cricket, modelling and others stuff only; there is a selected group of readers who actually love reading knowledge, facts and science based articles. It requires a lot of courage and guts to research about such stuff and publish it. 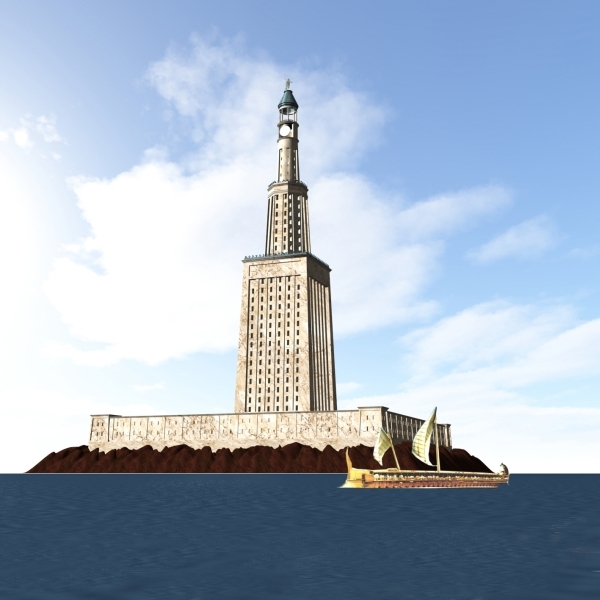 The lighthouse of Alexandria (also known as Pharos of Alexandria) is considered as one of the nine wonders from ancient times. It is however more important than others in the list, because, it was meant to be helpful to people. For year, it served the purpose to be a guide to the sailers of that time. If you want to know more about it, you can read a small one page article on the back of the front cover page. The 20 facts which may not be known to you, about light is again a small but nice list of facts. As Diwali (aka Deepavali) – the festival of lights – is approaching, it is contemporary. Digambar Vyas’ article about some of the science experiments which couldn’t hit the bull’s eye, is interesting. But we found it quite short and below expectations. The article could have provided more information. We are living in the era where technological advancements are at the peak. Since last few year, we have heard and read a lot about self-driving cars. The term itself is self explanatory and requires no definition. The reason behind looking for this technology is based on some facts like around 1.2 million people die every year in car accidents which are happened due to human mistakes. The self driving car can be a solution in this case. Of course there are a lot of benefits of such cars, if a 100% satisfactory model of the same is developed. In addition it gives the owner of the car to spare some time caching the newspaper or magazine stuff while being driven to the desired place, without need of a driver. The technological giant Google itself is working on various models of such cars. Here is the latest monthly report on such model, by Google. However the million dollar question is Can we rely 100% on the technology of automatic cars? If you have habit to explore technological news, you might have heard about the incident when two ethical hackers were able to find vulnerability in an automatic car and able to take control in their hand!!! The driver have had all the controls but he was unable to do anything. Neither he could control the AC nor he was able to reduce the volume of his car’s audio system!! Of course you can imagine – how dangerous it could have been? Of course it is not about discouraging to use the latest technology, but it is all about to make it temper-proof. Why we are talking about these stuff, when reviewing a magazine? Well, there is an article about Self-Driving (or Driver-less) cars. The article is full of information and definitely worth reading. Do you know that there are around 400 types of Shark are found so far. Smallest of them is Lantern Shark (just 20 cms) and biggest of them is Whale Shark (around 12 meters). So among these 400 types, each one could have its own signature characteristics making it different from the others right? One of them is called HammerHead Shark! A very detailed article about this species is found written nicely by D. N. Kaushik. Though it will be found more intersting by nature lovers, it is actually informative and everyone should read it. Easter Island is very famous for its 887 extant monumental statues, called moai, created by the early Rapa Nui people. It is also declared as one of the World heritage sites before few years. It is discovered not less than 290 years ago, but it is still a mystery that where the people belong to this island went or how this civilization was vanished? In this issue an article by Digambar Vyas tries to present 3 possible answer for this mystery. The article is well researched and the reasons are logical. Primarily targeted for history/mystery/archeology lovers, this article is however written in a layman’s language. White Sharks are so dangerous that they are often referred as White Death. But if you want to talk about freshwater fish, which is deadly, you have to name piranha for sure. This fish is found in Africa and are normally about 14 to 26 cms in size. They are known for their aggressiveness. Even in films like You Only Live Twice, it is represented on screen (where the antagonist feeds meat to pet piranha – and later a human body is thrown to the pool of piranha) it is represented as a deadly creature. Even films on the name of this species are made. A very detailed article about blood thirsty piranhas is found in this issue, which is worth a read. What are the reliable sources of Vitamin-C? Is there anything like overdose of it? Are there any countries where a visitor doesn’t require to have a Visa? Please name them. Why the multistory building are not nailed inside the land? Explain the open-heart surgery process. Does Wasp bee (or black bee) creates honey like honey bee? Which countries have maximum and minimum languages spoken? How the silk worm is used in making silk? How the scientists came to know that photon doesn’t have mass? Why the first teeth of a child are fallen after few years of age (and replaced with the new sets)? Why the narrow gauge is preferred railway line for heal/montain area? Will robotic drones took over the traditional air planes? Which fuel is used in merchant ships? Why we experience cramping sometimes? The answer to the Super Question segment brings all about – Dhanush – the long range artillery gun and howitzer. If you want to get updated yourself with battle field stuff, it is a not to miss article. Of course a “worth to go for” magazine. It gives you the best value of your money and most importantly the time you spend to read it. This issue possess at least double information then the regular issues.